I has been a great relationship for the past six years. The marriage of the three: brand, identity and a logo are the essence of your business marketing online and offline. Let us refresh your knowledge and remind about these three pillars of business marketing. Brand is the emotional image of the business perceived by the client. Identity of the company is defined by visual stimulators such as colors, shapes, shades, fonts of the overall brand. Logo is the smallest identifiable part of the brand, yet most essential to the overall marketing strategy of the company. We follow five fundamental principles for logo design – simple, memorable, timeless, versatile, and appropriate. Whether you need a creative and memorable brochure, fresh ideas advertisement concept, or a comprehensive white paper set for marketing purposes, Alaska Tech Support creates marketing collateral that are bright, memorable and optimize your marketing impact. 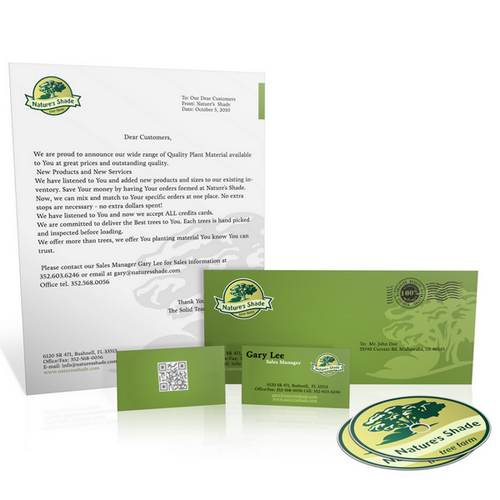 Using our conceptual ideas, copywriting, and outstanding graphical design, we can create, refine, and produce all your company’s sales materials. This branding is created in several stages: brainstorming, sketching, different design options, revisions per your request and market trends, final touches, ready to produce file creation, and other graphics adjustments per your request. "Every Door Direct Mail® from the U.S. Postal Service®, is designed to help you reach every home, every address, every time. Now it's even easier using our redesigned tool! You can map out a target area, select a delivery route and mailing drop off date, and pay online—all from your computer. And, you can create your mailings up to 30 days before you plan to mail them. Simply enter an address, ZIP Code™, or city and state for your target area to get started." Start today, take advantage of the online mapping tool available here. "USPS- Every Door Direct Mail." eddm.usps.com N.p., n.d. Web. 13 Feb. 2013 <https://www.usps.com/business/every-door-direct-mail.htm>.